Details: Save 20% on your purchase of F-Secure Antivirus Today! You can get a taste of the F-Secure software by downloading the free tools they have available on their website. 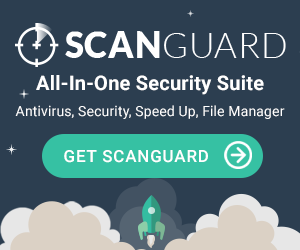 The F-Secure Online Scanner is a great tool that can get rid of viruses and spyware on your PC even if you already have another security software installed. iOS users can download the F-Secure AdBlocker on their iPhone or iPad to keep online advertising at bay. Both of these products can give you an idea of what F-Secure has to offer in terms of protection without the compromise of a purchase. F-Secure offers 30-day trials for all of its antivirus suites including the F-Secure Internet Security, the F-Secure Safe, and the F-Secure TOTAL. Unlike other antivirus software, the 30-day trial can be used in up to 3 devices and it does not require you to provide any credit card information. Try out one of their products and find out which one suits you best. If the F-Secure antivirus software is not for you or if you already purchased another antivirus software, we recommend trying out their other products to further secure your devices. For users who have a hard time remembering all of their passwords, the F-Secure KEY provides a comprehensive and easy-to-use application that keeps all of your passwords secure in one place. If you’re more interested in a security router, the F-Secure Sense protects every connected device in your home and provides cloud protection. Both products can be a great addition to your antivirus software. Most users would like to keep more than 1 device safe at all times. F-Secure can protect up to 7 devices with any tier of their antivirus software for only a small increase in price. When purchasing any of the F-Secure antivirus software options, make sure you purchase a tier that will protect most, if not all, of your devices. "Recently I bought a used computer that came with F-secure Anti-virus software. I had never heard of this program before but after finding several good reviews online I figured that I would give it a shot. I was not a fan. While it did seem to get the job done, I really think that it has a problem with false positives, especially while scanning email. That really drove me nuts. I only lasted with this software for about 2 weeks before I removed it and switched to another program I know I can trust. I am not sure if it was just me but it really felt like F-secure really slowed down my browser speed and even caused a few programs to crash. In all I can say that they might be ok but not a program that I will trust with my security needs anytime in the near future.